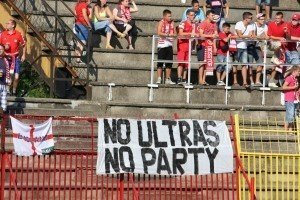 Debreceni VSC set up a UEFA Champions League third qualifying round appointment with FC BATE Borisov after overcoming stubborn Cliftonville FC, who were reduced to ten men, uefa.com reports. The Hungarian champions had reason to curse their luck in the first half, Dalibor Volaš heading against the underside of the bar on nine minutes, before Rene Mihelič went close from a free-kick and József Varga stung visiting goalkeeper Conor Devlin’s palms with a shot from distance. However, the Northern Irish side were dealt a crippling blow when Jamie McGovern was dismissed on 54 minutes for a foul on Volaš, with Slovenian forward bearing down on goal. UEFA.com said, Elemér Kondás’s side were never quite secure until the 79th minute, when Ibrahim Sidibe stabbed into the net following Mihály Korhut’s cross from the left.